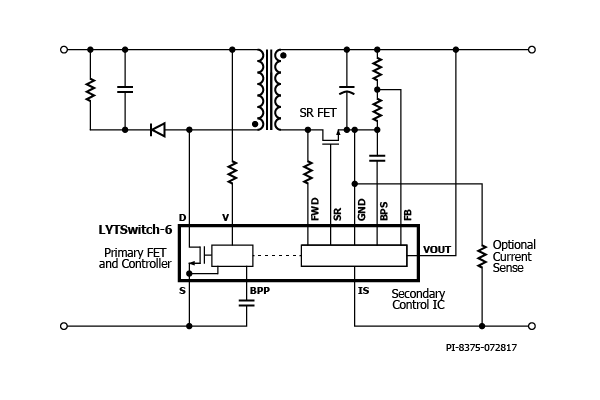 The LYTSwitch™-6 series family of ICs dramatically simplifies the development and manufacturing of off-line LED drivers, particularly those in compact enclosures or with high efficiency requirements. 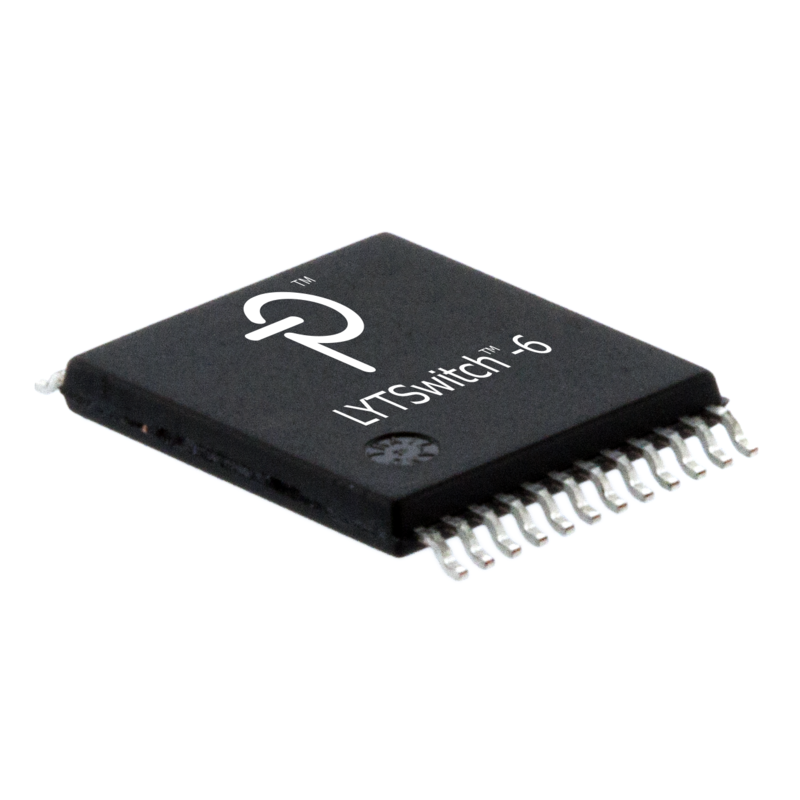 The LYTSwitch-6 architecture is revolutionary in that the devices incorporate both primary and secondary controllers, with sense elements and a safety-rated feedback mechanism into a single IC. Close component proximity and innovative use of the integrated communication link, FluxLink, permit accurate control of a secondaryside synchronous rectification MOSFET with Quasi-Resonant switching of primary integrated high-voltage MOSFET to maintain high efficiency across the entire load range.